At the end of every year, company shareholders, as well as those in charge of making important company decisions, would want to learn about how well the company has been doing. This would mean gaining information about all of the activities done within the year and the company’s financial status. So, what you’re going to have to do is to create an annual report that will convey all of this important information. This article is going to focus on how you are going to create a sales report that will be detailed enough that readers will easily be able to understand how your company did within the year. Whether you’re making one for a company that has been in business for quite a number of years now, or one that’s just getting started, it should be noted that creating a sample annual report is not something a lot of people particularly enjoy doing. This will take up a lot of time and there are so many things that you’re going to have to think about when making one. What were the goals that were achieved in the previous year? Who were the main people involved? What events did the company hold? Were they all successful or were there some flops? These are all things that you’re going to have to think about when creating your annual report. 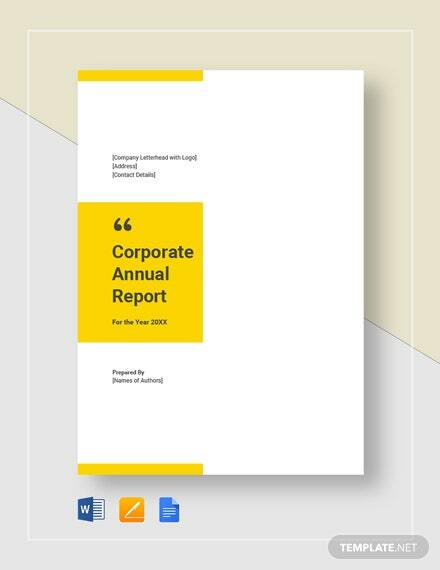 An annual report is going to need a lot of key information in order for it to be credible as well as understandable enough for readers to get the gist of your company’s current situation. If you know that you can’t gather everything alone, then you should definitely consider having your staff help you in gathering whatever it is you need to put into your annual report. So, if you can get staff to establish systems within their teams that will allow them to gather the information for you, then you’ll find that the process of making an annual report has just gotten a whole lot easier. 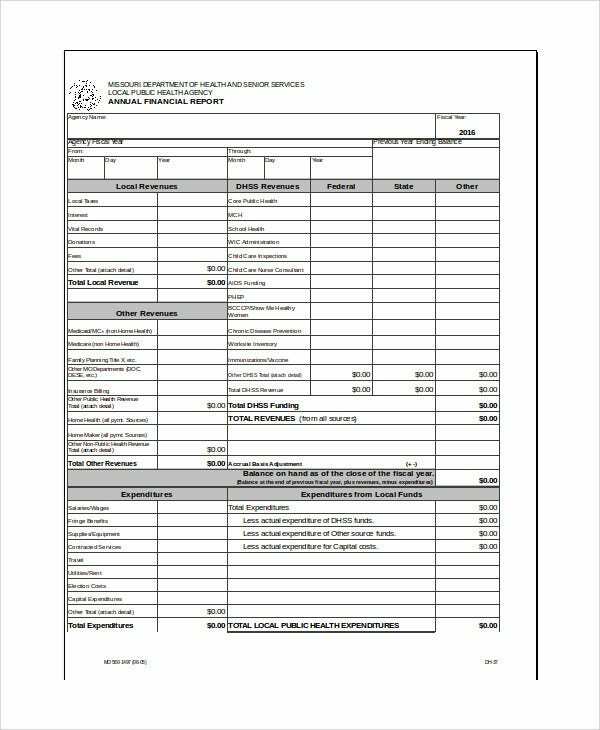 You may also see annual report templates. While it’s important that you obtain as much information as you’re able regarding how your company is doing (sales, revenue, expenses, etc. ), you don’t just want to shove everything down the shareholder’s throat. You want to give them information that they’re able to use, not ones that they might just easily forget. So, when you’re planning on what you should place in the report, you have to really think about the information that you’re going to have to leave out. Because, let’s say that you’ve had a ton of achievements over the past year that have benefited your company, and yet you’ve also had a couple of them that don’t necessarily do anything for the business. Weed them out into what your company can gain from and the ones that don’t and then place the ones that are useful in the sample report. Also, don’t cramp up the pages of your report with a lot of information. Make sure that there are just the right amount of spaces to make it feel like the readers are getting what they need in an organized manner. You may also see monthly sales reports. When you’re creating the sales report, you have to dedicate a page to some important statistics such as sales quotes that will tell your reader just how your company fared in terms of sales within the past year. This will help your readers understand just how well the company was doing within the year in terms of how it was able to sell to its customers, and whether or not the company was able to exceed expectations. If you’re going to present information, you don’t want it to just be full of text as well as numbers. Something like that will easily bore the people who are viewing your annual report and it will make them feel like they’re going through something that they would rather not have to. So, what you can do is include a couple of visuals that will help them understand the performance of the company. For example, you can come up with a bar graph that will represent the sales of your company within the year and use it to compare with the sales from previous years. If not that, then you can come up with a pie chart which will indicate all of the different factors that are affecting the success of your company. Although this may not seem like much of a big deal to some people, having strong visuals can greatly aid those who would like to go through the report as there are some who will better understand information if they have visual images they can check to know how the company is doing. 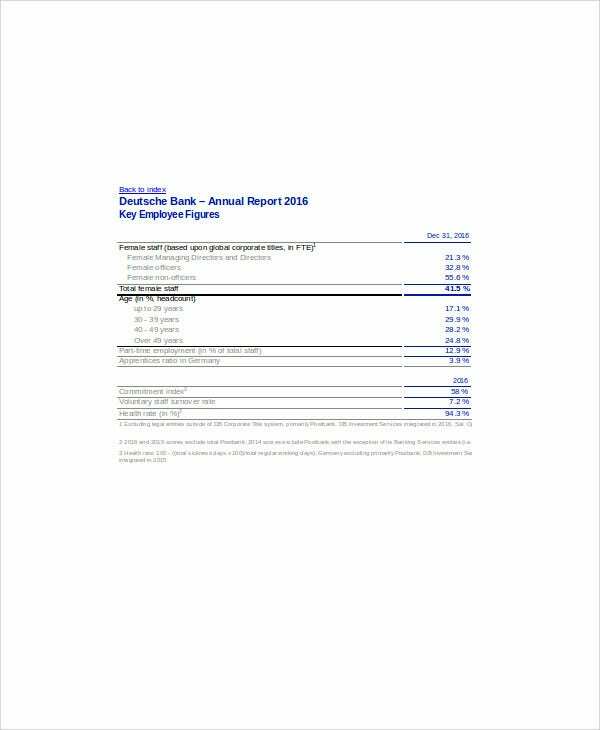 You may also see nonprofit annual reports. Just remember that you also shouldn’t overuse visuals within the report. Try to set a good number of them as you just can’t forego text and numbers altogether. Have a good balance between them all and readers will definitely have a good time understanding your annual report in Word. When you’re creating your annual report, you want to point out what all of the information means as well as what you think your bosses should do with them. However, you have to remember to keep things in a respectful tone, as well as ensure that the comments that you provide are ones that are relevant to helping the company achieve success. You may also see school report templates. 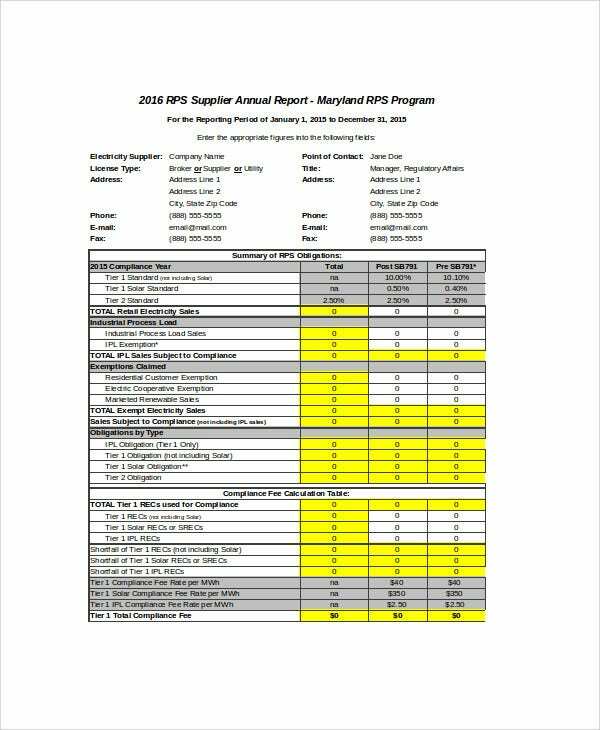 State in the report how the information can be used to benefit the company. For example, you see that there’s a large increase in the demand of a certain product within that year. So, you can state that the company should do market research for that product to see if customers would still want it in the next company year, and base the next action on the results. There are a ton of reasons why you should just keep your annual report as simple as you can make it. It’s easier to focus your energy on getting fewer things covered—fewer meaning very important information—rather than covering every single thing within the year. Trying to report on too much will cause stress, meaning that you won’t be able to properly cover what your readers would want to know. Your stakeholders are more likely to read a short report carefully, as well as remember everything that they need to learn. 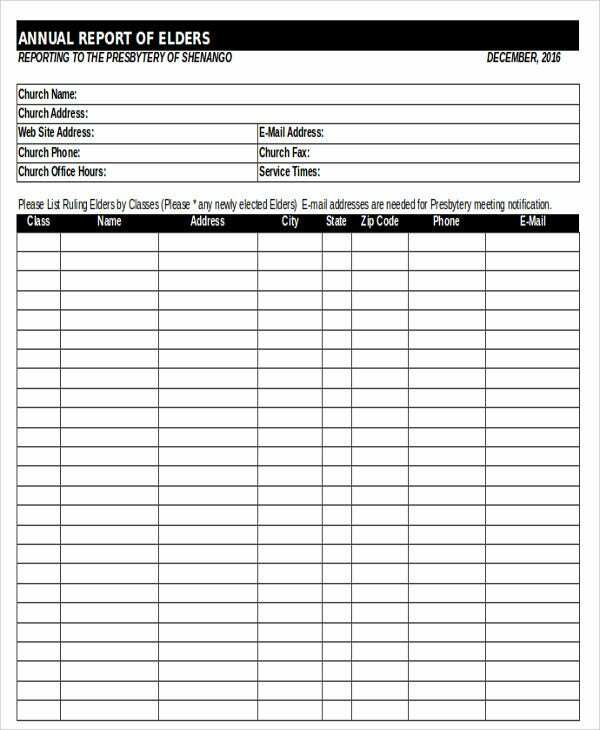 You may also see sales report templates. Readability is a major goal for an effective annual report, but that doesn’t mean that it has to be all text-based. It’s best that you include a couple of pictures of your staff hard at work or pictures of important achievements that have been accomplished within the year. Just make sure that you have the green light whenever you decide to post these pictures on the report as your boss might not particularly want them in the document. Check with your boss to see if it’s fine and then you can decide whether it’s the way to go or not. You may also see inventory report templates. Just like with any other important document, you have to make sure that this one contains no errors whatsoever. You have to polish your report to the point where it’s clean of any mistakes as this is something you’re going to be presenting to your bosses. You wouldn’t want to show them that you’re the type who can’t even type out simple words without messing it up now, right? You may also see HR report templates. So, what you should do is go through every page to see if there are any grammatical or spelling errors. If you spot even one, you should fix it as soon as you spot it. Also, you have to make sure that information you place is all accurate. You do not want to have the wrong numbers in the report as that will only lead to problems in the future. You may also see free report templates. If you would like to learn more about how to create an annual report or anything that’s related to this particular topic (such as how to create monthly reports for your business), then all you have to do is go through our site, find the articles that you need, and utilize the information you’re able to find to help you and your business out.